January 2014 Sunday club run. I’m taking a bit of a punt here – the weather for Sunday is predicted to be s**t. Also I haven’t sat on a bike since Christmas day. So – I’m proposing to push the January ride back a week to Sunday 12th. Depart from the wicker at 9:15 for a pleasant ride across the flatlands with the aim of hitting Ma Larkin’s again as we did last year. If you can only negotiate one whole Sunday out per month then get yourself to the Wicker for the 12th and hopefully this sequence of North Atlantic cyclones we are having will have stopped. 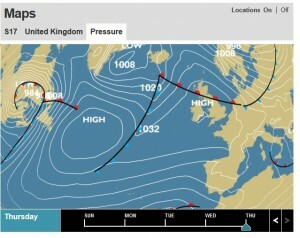 If it isn’t chucking it down on the 5th I’ll be at the usual meeting place for a 9:15 depart, not looking good though. I should have put this up before now but only just realised the 1st Sunday of the month is actually next Sunday, 1st December. So, I suggest we go out East for a change. We can leave from the same place but veer off over towards Notts, probably through Coal Aston way. It is a bit dependent on the weather but it can’t be as bad as November. At the moment we have a stubborn anticyclone that the BBC are predicting is going to hang around until at least Thursday, pushing all the bad weather up over Norway. Fingers crossed it stays until the weekend. Meet at the usual place (Bents Green) at the usual time (9:15 depart) then we head in the direction of the Urals. Turned up for the November Sunday run and Justin was wearing a tent but without guy ropes. Ten of us set off in the wind and rain over Stanage and New Road. We were still hopeful of getting all the way to Longnor and Sally was planning to meet up with us in Smalldale. Rode up Stanage in wind , rain and ever increasing gloom. We could see better weather around but never in the direction we were going. After a while got Justin and his tent in the front, suddenly no wind. By the top of Stanage it hadn’t been raining for about a minute so Justin took his tent off, we slowed to wait for him. A minute later he stopped to put it back on again and we decided to wait for him at the bottom of the hill out of the wind and rain. At this point we decided to head for the Woodbine and it’s log fire. Was Sally by now cold and very wet somewhere out near Smalldale? Berto peeled off down Scotsman’s, say no more! I chickened out of following Thom down New Road, has he never fallen off on wet leaves? By now several riders with numb fingers descending slowly to get less cold. 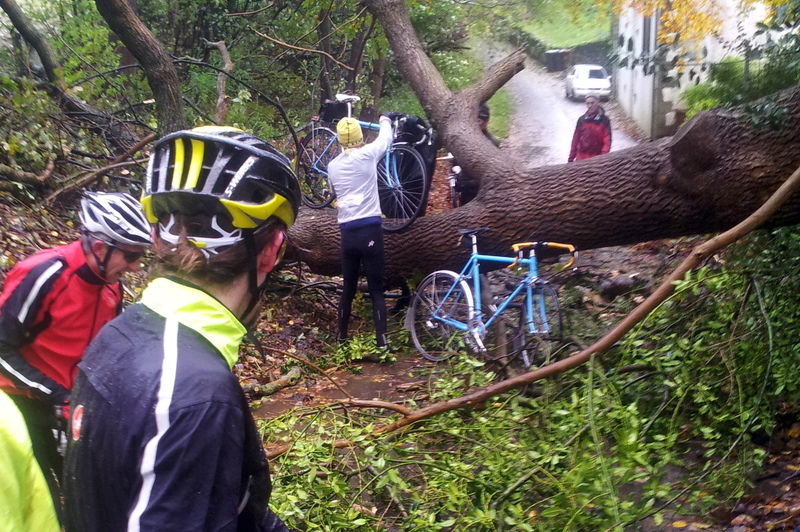 Up Thornhill and over to Aston only to be blocked by a fallen tree. No-one good enough at cyclo cross to Bunny Hop it. Shame we didn’t have James with us we might have been able to persuade him to try. Made it to the cafe and crowded round the fire. Radiators not on but the kind cafe owner took lots of our wet stuff and put it in her tumble drier. Except for Tony’s leather gloves. That’ll teach him for being retro. Sally phoned just as we got to the cafe, she was doing loops round Bradwell waiting for us and getting cold and wet. 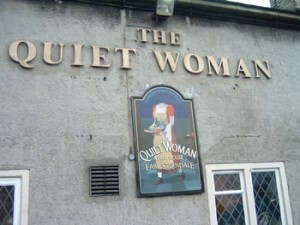 But instead of going into her house for a warm shower she came down to the Woodbine. 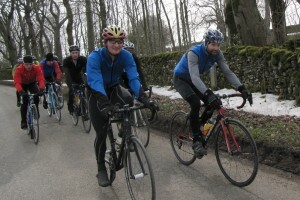 Once we retrieved our warm gloves we decided to ride up through Bradwell, well eight of us did, two headed straight home. Agreed to go up Hungry Lane, not sure why, it’s as steep as anything and with lots of wet leaves no standing up. Sally again ignoring the option of home and warmth to stay in the rain. From Windmill it was a joy, tail wind, tail rain all the way home except for Sally who had to turn left at Fox House for more headwind home. We even got sunshine coming up Padley Gorge although it was looking a bit dark up the Hope Valley. So was it worth it? Absolutely, still a million times more enjoyable than sitting on a pair of rollers and weather is just an ever changing experience. It’s not really cold until you start to feel sleepy. 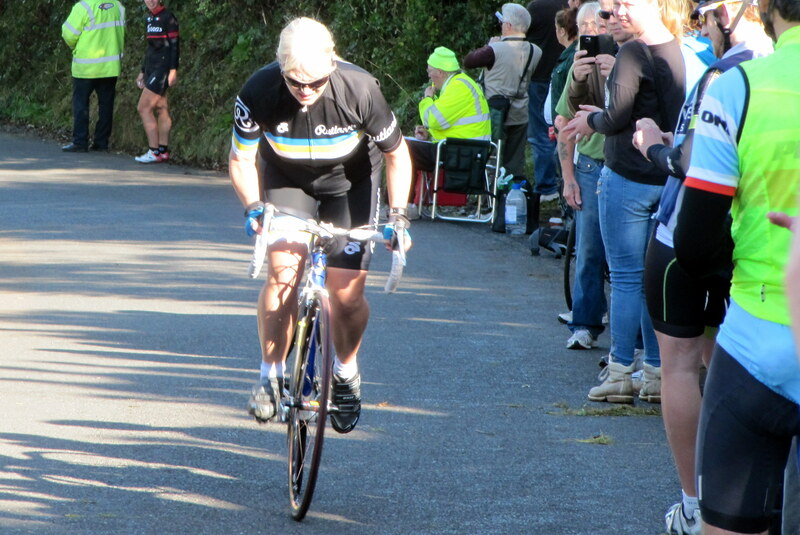 Only 2 weeks to go till the November Sunday club run that will be to Longnor, eventually. Then we’ll come home, eventually. As usual for this side of town there will be hills. No snow forecast yet, don’t believe the Daily Express, therefore no need for studded tyres or fat bikes. This part of Derbyshire is a bit more remote and we’ll take some of the quiet looping roads round Chrome Hill. There are a few foreboding pubs around, make the Slaughtered Lamb appear like a branch of Starbucks. Leave from Bents Green at 9:15. Should be back about 3:30. Where were you all ? So where were you all? 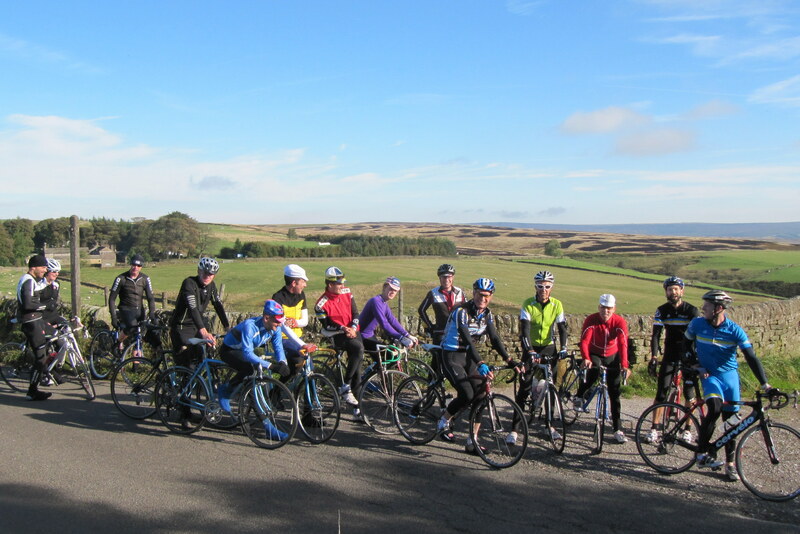 Races, holidays, hangovers meant only 5 of us up for this months club run. 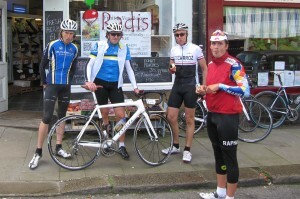 Aside from me we had Thom, Gav, Richard and new member Keith who made his first ride a 90 miler! Once we got to the other side of Holmfirth only Richard knew where we were and once on the other side of Marsden we were well into ‘there be dragons’ territory. Stopped at the veg shop in Marsden for a fuel up of bananas and flapjacks before climbing up Marsden Lane with it’s average 17% gradient. Thom had to walk, not because of feebleness on his part but due to chain slipping. Only pride prevented me stopping on the last half cobbled bit that I think rears up to about 25%. No takers for the free cake challenge, never thought there would be. Once up the hill out of the Colne valley we crossed under and over the M62 with another 17% average ramp before a really long drag up and over to Delph in a strength sapping headwind. Then at Delph we were in a time warp, old back room cafe, Frank Sinatra on the radio and then a load of American WW2 vehicles drove past. Seemingly they made the film “Yanks” there so have an American themed WW2 thing now every year. This meant the road down to Uppermill and Greenfield was pretty busy. Adolf Hitler was supposed to be there but we never came across him. Tailwind at last up Saddleworth Moor and then that wonderful descent to Holmfirth. Back through Penistone and up over Fox hill to Hillsborough. About 78 miles back to Hillsborough so not a bad estimate. Dave Baillie and Tony Sweeney take note. Just before I got home I got passed by the same motorist 3 times as he stopped and then overtook me. First time he said my legs were the most amazing he’d ever seen! Second time has asked if I wanted a massage then when I declined he asked if he could just feel them!!! Not sure what he said the last time as I just waved and turned off Abbeydale Road to come home. Pretty stuffed now. 92.5 miles, 2000+ metres of climbing, my moving speed about 15 mph. The rest were quicker but had to wait for me on some hills. Roll on September. The rest of you – get out of bed on a Sunday. The monthly club run can’t be on the 1st Sunday of August because that is Tumby’s road race and everyone not on holiday will be racing or marshalling. So – the ride is bounced back a week to the 11th. 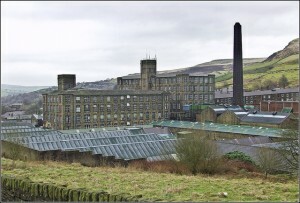 Destination is Marsden and back over Saddleworth Moor. Not been there before, now is your chance so take it. 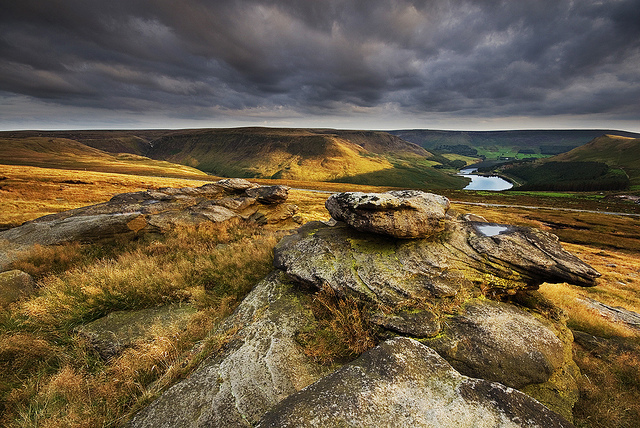 Made notorious in the sixties because of the Moors Murders it’s a pretty bleak place compared to the picturesque Peak District and well worth a day out. Marsden is possibly even bleaker, archetypal grim up north mill town complete with dark satanic mills. My plan is to ride out to Marsden via Holmfirth and then up over the moors north of Marsden before skirting round to Delph. 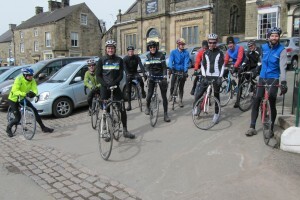 Make a cafe stop at Delph then over Saddleworth to Holmfirth before taking a different way back to Sheffield. Meet at Butterworths in Hillsborough for a 9:15 depart. Probably about 80 miles back to Hillsborough so a long day out but well worth it. 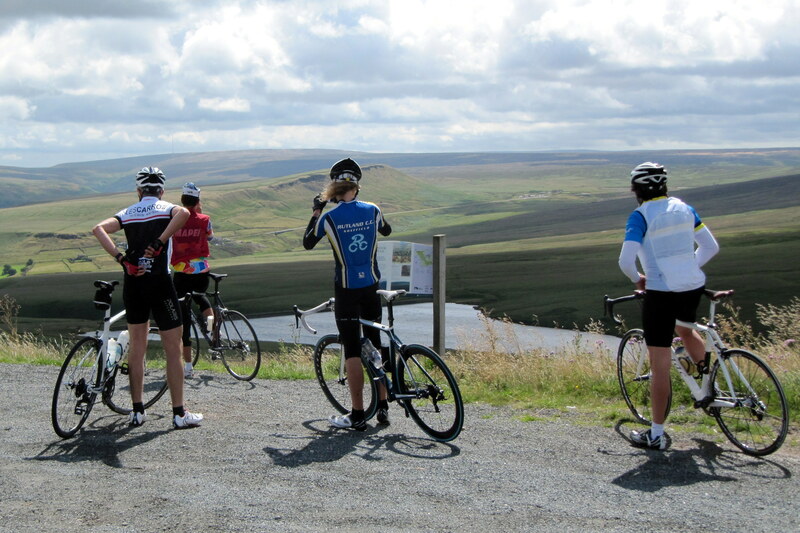 The climb out of Marsden is pretty brutal; steep, potholes, probably gravel and great views. I’ll buy cake for anyone who does it in the big ring! Anyone who falls off or puts their foot down trying to do it in the big ring must buy me a cake. Ideal for the Valley boys to join in and Kippy, we’ll be going not far from your place on the way out. You need to burn off those excess calories after lounging around in the Lake District. The hastily organisised June Sunday club run meandered through 4 counties again today. Dave Baillie, Simon, Justin and Kirsty on the tandem, Mick Glover, 2 Sedgewicks, 2 Sweeneys and me left Bents Green at 9:15. Justin and Kirsty peeled off at Fox House to find vertiginous tracks on the way to Longnor. The rest of us carried on up Abney. Alan Dawson, in composite Wilsons/Rutland kit turned up late, chased and caught us by Fox House, meaning he ended up looking more dishevelled than usual. First and only puncture just before Tideswell leading to 4 cats heading off up the road at a slower pace…..should have gone with them. Simon peeled off just before Peak Forest after we were passed by 3 guys with race numbers on. I don’t think they were the leaders as no car with them. This means Simon must have caught them before they got to Peak Forest. Dave then took us on the wibbly, wobbly road round the back of Dove Holes to Whaley Bridge where we managed to herd up the 4 cats who had stopped to get food and water. We all headed up Long Hill then 2 more cats peeled off to take the unmetalled shortcut to Goyt valley while the rest of us toiled the long way up Long Hill. By the time I got to the top of Goyt Valley I was off the back with dead legs and could do no herding. Two Sedgewicks and a Sweeney turned left to take the easy way while the rest kept going up to the top to put in an extra loop round Wildboarclough. 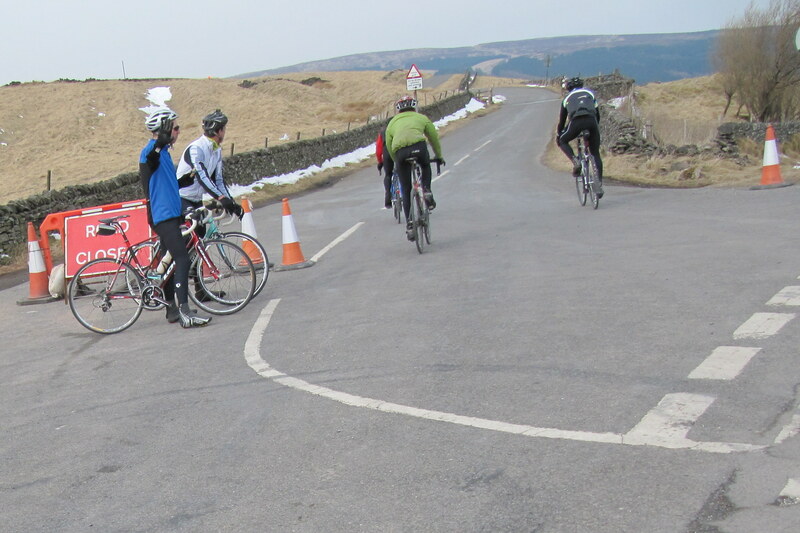 Except Mick who turned back at the Cat and Fiddle and headed back to Buxton and home. Lost sight of the Sedgewicks and the Sweeney but managed to get to the cafe before them. I was not going to take any route that involved Glutton Hill and that had clearly been their option. Got to the Cafe to Find Justin and Kirsty drinking tea. Andy, Matt and Gabe went to the other cafe, Dave, Tony and Alan rolled up 45 minutes later and we all ended up in the same place at the same time. Longstone Edge on the way back!! Then I peeled off at Foolow. 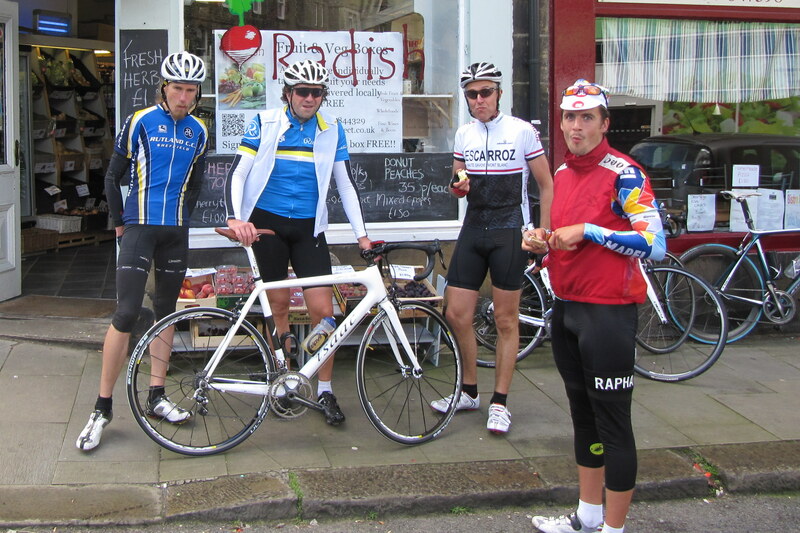 The rest were going for another cafe stop in Hathersage. Totally ****ed so that means it was a great day out. 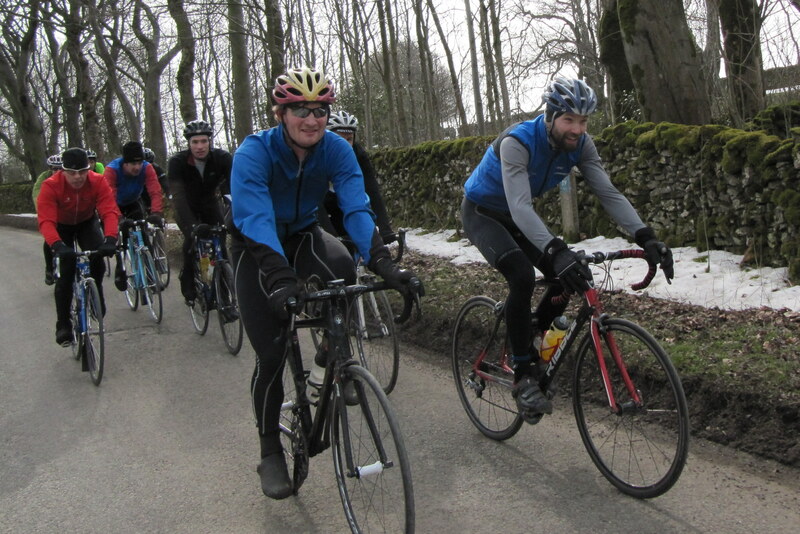 Dave’s pathfinding meant quiet roads almost all day, the sun shone, but not enough to get Simon’s tights and Justin and Kirsty’s gloves and overshoes off and a first for Alan who I don’t think has ever cycled west of Buxton. 116 Kms and over 2,000 metres of climbing on the Garmin. Y’all should have been there. 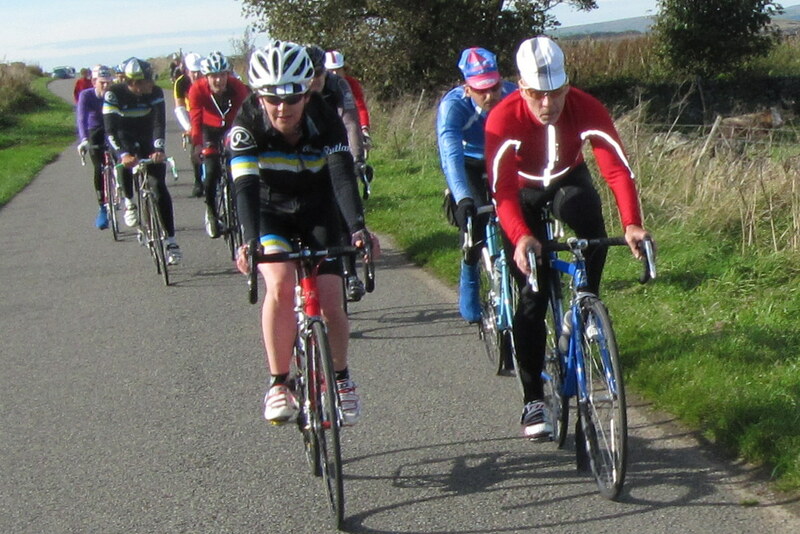 July club run is to Cleethorpes and back – get practising although should be easy as Alain is going to be on the front all day towing us along at 19 mph as he fine tunes his ‘Tour de Alain’ preparation. The April club run was a 75 mile(ish) jaunt through 4 counties and for most people a bit over 2,000 metres of climbing. 10 degrees for most of the day and I even managed to ride some of it with my gloves off. Three punctures and we are all clubbing together to buy Tony Sweeney some tyres that are newer than his bike. There were 14 people on it at some point or another. We started with 13, lost 3 by the time we got to Hathersage (sorry, I thought everyone was on and did ask at one point), Frank found us sat at the side of the road on Long Hill waiting for Tony to fix his first puncture and Luke, who missed the start completely, appeared just as we arrived at Longnor for the cafe stop. We stuck to quiet roads for the whole day, Abney, Worm Hill, Bole Hill, Long Hill (yes there is a theme emerging), Goyt Valley, Cat and Fiddle, Oven Bottom, Wildboar Clough, Gradbach, Flash, Longnor, Crowdecote, Monyash, Ashford, Gt Longstone then Froggat to finish off. Phew. A little bit of ice on the way up Abney but nothing to worry about. As we turned into the Goyt Valley, ignoring the road closed signs, some other cyclists shouted that it was dangerous. We cheerily ignored them, passed a load of parked cars before the remains of the snowdrifts, skittered past them and then had wonderful quiet roads all the way up the Goyt to the main road just before the Cat and Fiddle. Pretty knackered by the time we got to Froggat and I was aiming to slide off the back and pootle up alone but Justin spotted this manoeuvre, shouted out “shall we ride up together” prompting Dave and Tom to slow down just enough for me to ride up Froggat hanging on the back at a pace somewhere between uncomfortable and unbearable. Thanks guys!!! Lovely day out, made even better by the company. Apologies again for losing people at the start I’ll make special efforts to prevent this happening in the future. 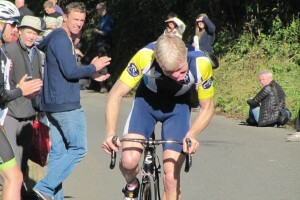 1st Sunday in May (5th) is the day of Minty’s Road Race. So if you have that penciled in for cycling activities you can help out at the race. The May club run is to Lincoln to watch the Grand Prix and cheer on James Baillie.